Champagne can be very confusing because of the terminology. So let’s discuss. 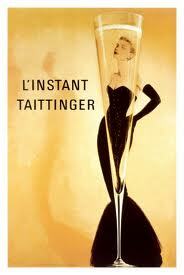 A true Champagne comes from the Region Champagne in France, other’s are considered “sparkling wine”. Spain it is called “Cava” and Italy it is called “Spumante”. Three types of grapes are used to make Champagne, they are Chardonnay, Pinot Noir, and Pinot Meunier. It is such a classy, elegant beverage that is something to be savored like a serious love affair. Who does not enjoy a love affair? Brut-Dry, a hint of sweetness, drier than extra dry usually crisp with distinct flavors. Extra Dry – semi-dry, sightly sweet, sweeter than Brut, softer delicate fruit flavors. Then we have: Blanc de Blanc, Blanc de Noirs, and Demi Sec, which I will put into another blog. “Come quickly, I am tasting star’s” And this is what Champagne is all about. I personally love pairing Champagne right before dinner, it cleanses your palate and it goes so well with light appetizers such as caviar, oysters, sushi, and even fruit such as strawberries. Heck, Champagne can even pair with pizza or pasta as long as the sauce is not to heavy. Champagne should be enjoyed throughout the year and not just for New Year’s. This entry was posted in Champagne, Educational Tools and tagged brut, cava, Champagne, educational tools, sparkling wines, spumante. Bookmark the permalink. Champagne – It’s Not Just For Getting ripped at Weddings Anymore….